The Legend of Zelda is one of the most popular video game in the world, especially if you are talking about the Nintendo console. It is an action-adventure game that centers on the chief protagonist and playable character Link. But Link is not the only important character in the game as the title inspiration of the video game. Princess Zelda is an equally important character. Though she is not playable, a lot of people are still fond of her character because of her various roles. 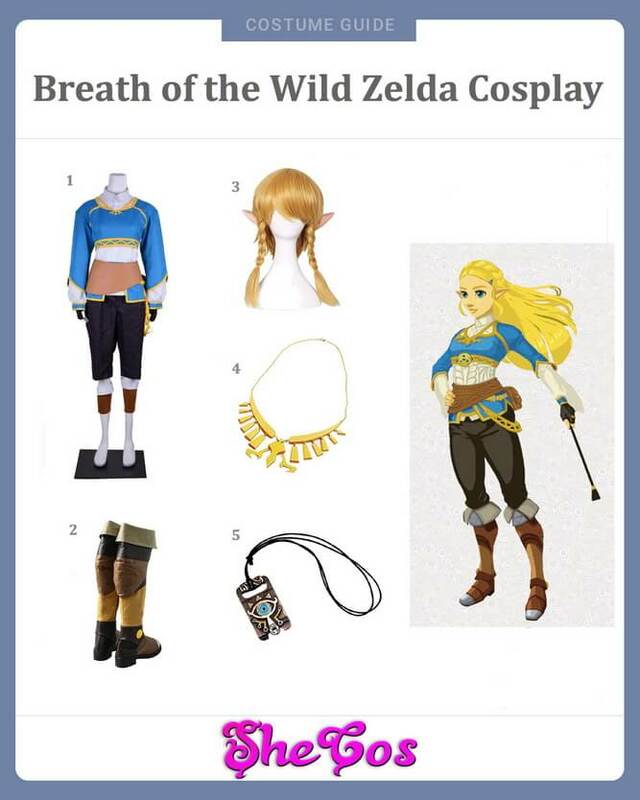 That is why there are also a lot of people who like to cosplay Zelda. Depending on the video game series you are playing, Princess Zelda wore a lot of different outfits throughout the series. She is portrayed as a beautiful young girl that usually has blonde hair and often wears jewelry and a royal gown that has a pink, lavender, or a different pale color. The gown will also usually bear the Royal Family Crest. These are Princess Zelda’s appearances in the game titles Ocarina of Time, Twilight Princess, and A Link Between Worlds. If you prefer the look of Princess Zelda that is not wearing a royal gown, then her appearance in The Legends of Zelda: Breath of the Wild is the look you should be cosplaying. If you want a look where Zelda doesn’t even have the title of princess yet, then her appearance in The Legends of Zelda: Skyward Sword is what you should dress up in. 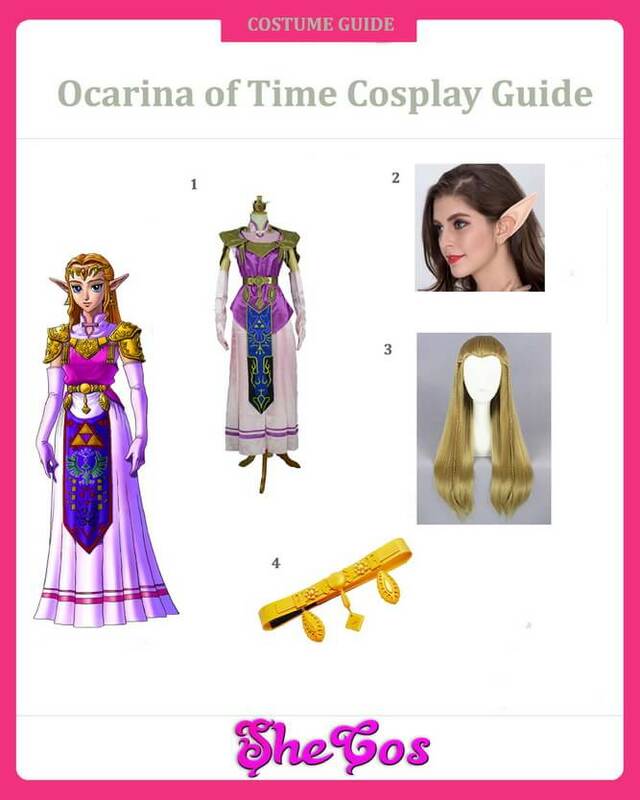 Let’s show you the Legend of Zelda Princess Zelda costumes guides one by one. In The Legend of Zelda: Breath of the Wild, Princess Zelda is one of the companions of the main character Link. That is why her outfit here is fit for adventure, as she wears a blue shirt with Hylian embroideries. She also wears black pants and a pair of brown combat boots, to show she is ready for adventure. For the accessories, you can use a blonde wig that has ponytails on the side and elf ears. You will also need a gold necklace ornament to complete the appearance. This outfit also comes with a Breath of the Wild pendant or keychain for an added accessory, or you can use as a souvenir. In this video game series, Princess Zelda had a tragic childhood, as her mother passed away when she was six years old. Her mother’s death not only provided her grief and sadness, but she was also unable to awaken her latent powers, as her mother was supposed to be her teacher. It made Princess Zelda dedicate herself more to science to try and help defend their kingdom from the enemies. But she still trains hard to try and awaken her sleeping powers. The main character Link is assigned to be her knight, which explains why she will be tagging along a lot in the gameplay of this video game. 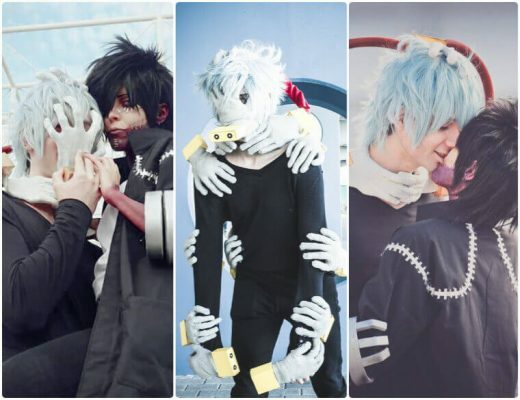 And the makeup is critical to the cosplay. You could drow the towers and shrines on your face and neck as the Zelda makeup tutorial. Princess Zelda’s role in The Legend of Zelda: A Link Between Worlds is more of a princess that provides support to the playable character Link and tells him what to do and where to go. That is why her outfit here is more reflective of her princess status as she wears a royal white gown with a pink top. The full costume includes all the necessary designs, and even the white cape, to provide the appearance of a royal princess. For the accessories, you will need the elf ears and the long blonde wig. You can choose to design the hair in a way that will make you look like a princess even more. Princess Zelda plays an important support role in the A Link Between Worlds game. She tells the main character what to do and where to go to try and prevent the evils of the past from wreaking havoc in their world once again. Unfortunately, she was captured by Yuga and was later used, together with the Sages, as a way to revive Ganon, a Demon King that holds the Triforce of Power. After she was rescued by Link, along with the other Sages, she provided Link the Light Arrows that he will need to defeat Ganon that has already fused with Yuga. The Legend of Zelda: Skyward Sword is considered as the very first storyline in the Hyrule History of the Unified Timeline. Zelda is not even called a princess in this game, which is why her appearance here is more common and less glamorous than her other appearance in the different titles. Her full costume here consists of a pink dress with a white cloth draped around her like a jacket. The dress also has a small blue flag with a crest on it and a black belt, as well as a gold circle belt. The outfit is completed with brown boots that are shin height. 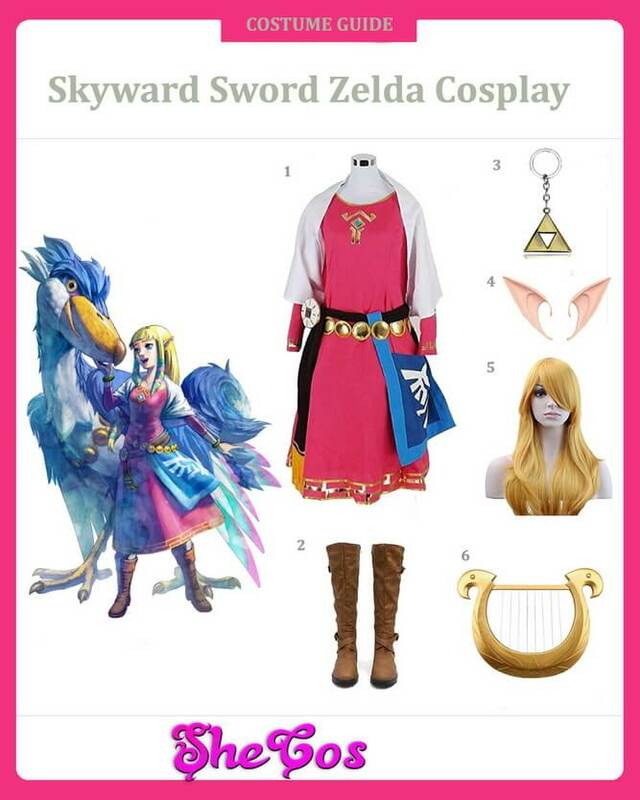 For the accessories, there is the long blonde wig and elf ears, as well as the Goddess’s Harp. The full costume also comes with a metal keychain of the Triforce Logo. Being the first story in The Legends of Zelda Unified Timeline the Skyward Sword is the game where Zelda doesn’t have the title of princess, and she is a childhood friend of the main character Link. Though she is not yet called a princess here, she still plays an important role in the game. In this game, she is the reincarnation Hylia and tries to manipulate Link so he could fulfill his destiny of becoming the wielder of Master Sword and destroy the Demon King Demise. She also sealed herself to keep the imprisonment of the Demon King, while Link fulfills his mission of destroying him. The Legend of Zelda: Twilight Princess is the second storyline in the Child Timeline of the game series. In this game, Princess Zelda is a young matriarch and dresses elegantly in her white royal gown with a lavender top. The full costume consists of all the fancy designs to make it look like a princess gown, including the Royal Crest. For the accessories, there’s Princess Zelda’s wig and her elf ears. There is also Princess Zelda’s sword, as this is the video game series where she is wielding a sword. 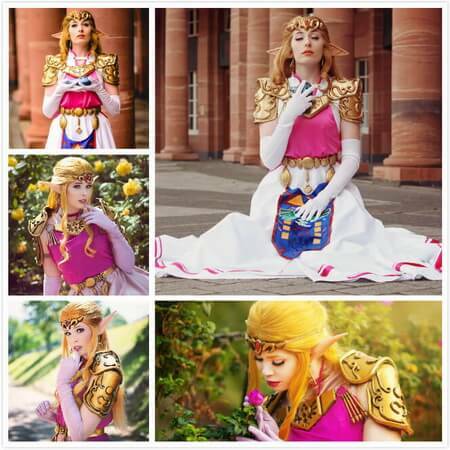 A lot of people liked Princess Zelda’s look here. It is one of her appearances where you will see her like a princess and ruler of a kingdom due to the glamorous but fierce look. 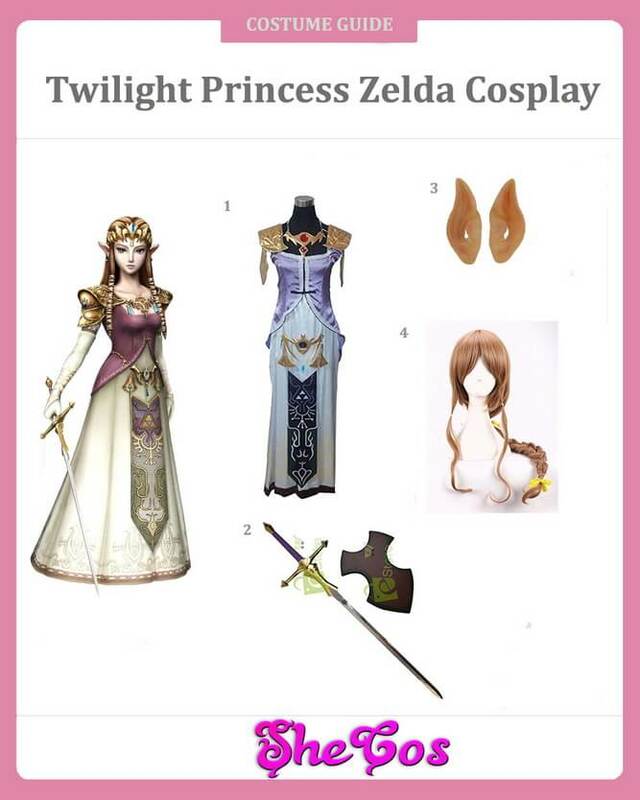 The pictures below are an example of how you can dress up as Princess Zelda in the Twilight Princess and in what setting it will look best. As you can see from the photos, the Twilight Princess would look well in both outdoors and indoors setting. But the perfect setting to wear it would be outdoors, as the glamorous look fits well with a background of trees and forests, and besides the twilight sparkle pony. The Legend of Zelda: Ocarina of Time is the fourth Princess Zelda in the Unified Timeline and is also one of the games where she dresses elegantly. She wears a white royal gown with a pink top with gold plates on the shoulders. 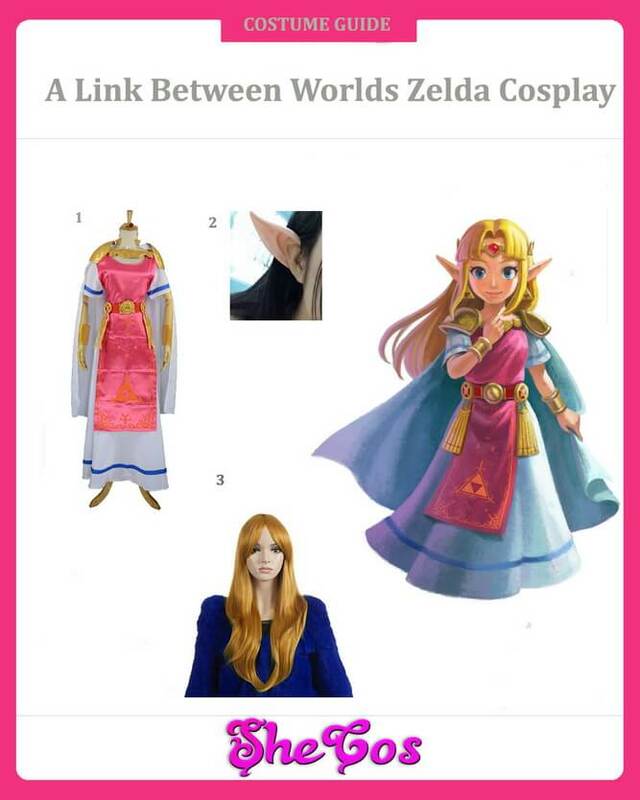 Princess Zelda’s costume here is a bit similar to that of A Link Between Worlds, except this one is more glamorous. The full costume also comes with a gold waistband to add to the outfit’s elegance. 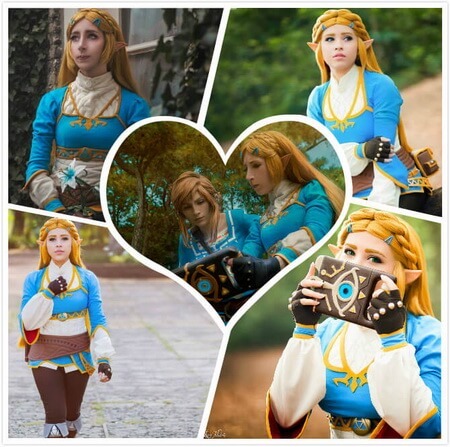 The accessories you will be using here are the elf ears and the long Princess Zelda Blonde wig, which is already designed to make you look like a princess. Princess Zelda in the Ocarina of Time game was the one responsible for causing the timelines in the video game to split. Nevertheless, her actions do not take away the fact that Princess Zelda looks great in that video game series. 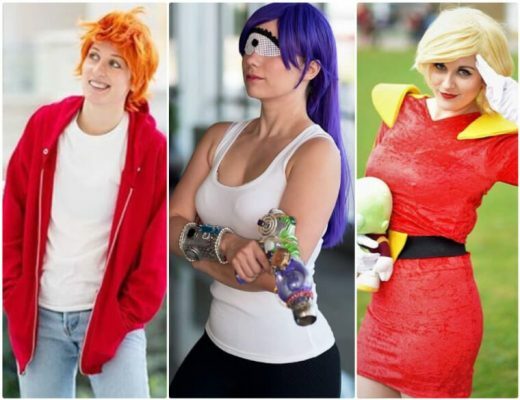 That is also why her appearance in Ocarina of Time is another popular choice for a lot of cosplayers. Her appearance in the game is made for the outdoor setting, which makes sense, considering Princess Zelda was involved in a lot of adventures throughout the game. The beauty of the outfit is that it still reflects that the wearer is a princess. 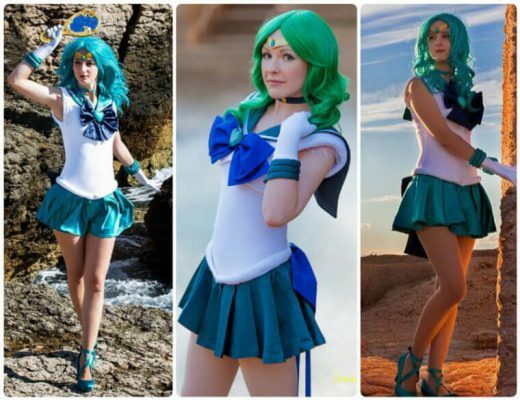 It makes it a great cosplay for those adventurous princesses. 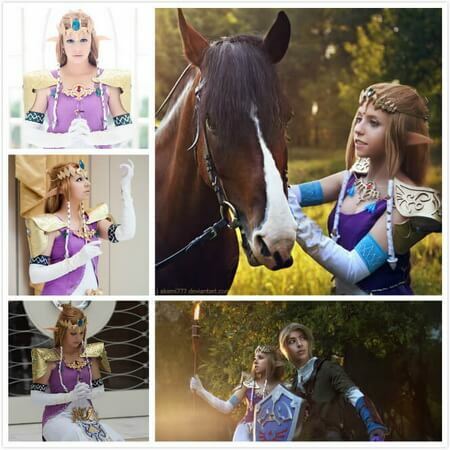 If you would like to get the other Zelda guides or share your cosplay photos, please feel free to contact us.